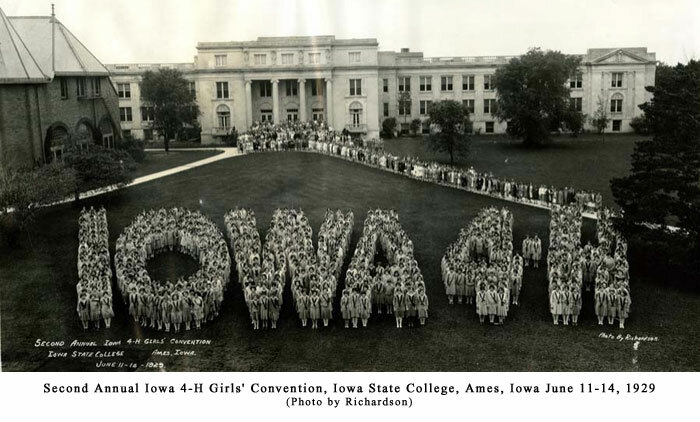 Iowa 4-H girls, representing all 100 counties, while attending their annual meet in Ames in 1936 create a human formation. 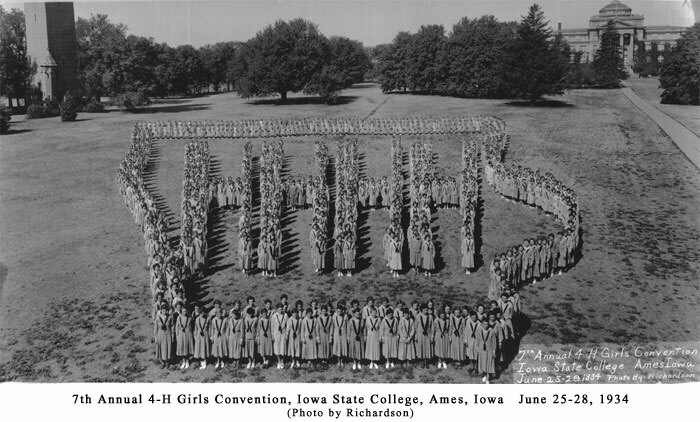 From the very beginnings of 4-H a century ago, often when boys and girls gathered for special events, one of the activities would be the creation of a human formation. This would often be in the shape of the number and letter “4-H” or the 4-H emblem design. If there were enough participants, sometimes the outline of the state where the event was taking place would circle the main part of the formation. Pictures would be taken for souvenirs – even though most of the images of the participants were indistinguishable. 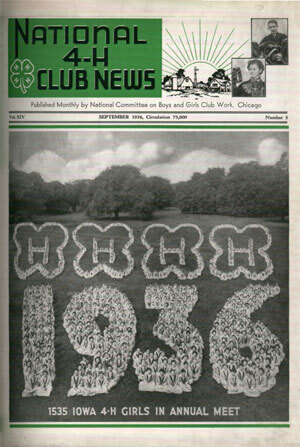 Later on, starting in the late 1960s after National 4-H Club Week was moved to October, occasionally university marching bands would create a human formation in the shape of the 4-H clover in the center of the football field during halftime ceremonies to commemorate the special event. This entry was posted in History and tagged 4-H History, Human Formations by Larry Krug. Bookmark the permalink.